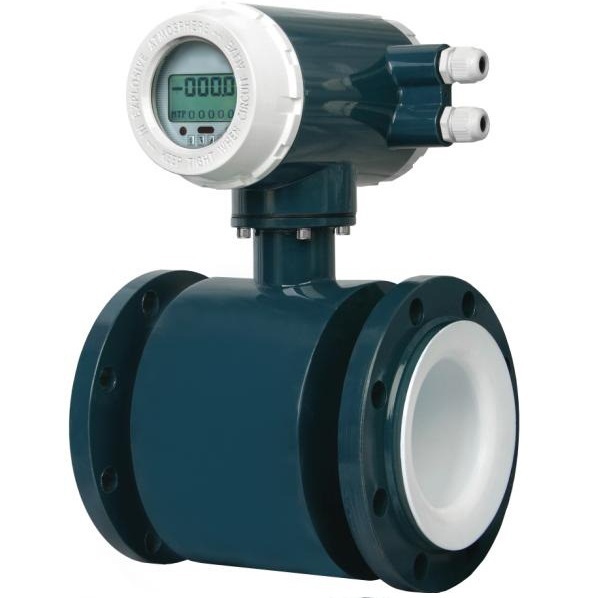 Electromagnetic flow meters can be used as a kind of acid flow meter or alkali flow meter, not just limited to sewage flow meter, portable water flow meter or milk flowmeters. By choosing different kinds of magnetic meter wet parts material, the mag meter can take task to measure varies kind corrosive medium. First, Liner material with options of PTFE , PFA ,FEP , all can be used to measure strong corrosive medium. Also we have different kinds electrodes material, such as Hastelloy C,Titannium, Tantalum , Pt/Iridium alloy to meet different kinds acid or alkali flow measurement. Below is a typical sample , how we choose electromagnetic flow meter material to measure nitric acid and hydrofluoric acid. 3. Operation Temperature: up to 50 degree C.
5. Electrode material: Tantalum or suitable for my request medium. Kindly indicate us your best price for respective product. Nitric acid is a strong acid with strong oxidizing and corrosive properties. It is a kind of inorganic strong acid. It is one of the six inorganic strong acids and an important chemical raw material. It can be used in industry for fertilizers, pesticides, explosives, dyes, salts, etc. for your HNO3 70% flow measurement, we choose Tantalum electrodes material for your application. Hydrofluoric acid is an aqueous solution of hydrogen fluoride gas, a clear, colorless, fuming corrosive liquid with a strong pungent odor. Hydrofluoric acid does not corrode lead, gold or platinum. It is quite corrosive acid, so we select Pt/Iridium alloy electrodes material for HF 70%. We choose PTFE liner for the magnetic flow meters because PTFE has extremely high chemical resistance. For example, it is boiled in concentrated sulfuric acid, nitric acid, hydrochloric acid and even in aqua regia. Its weight and properties are unchanged, and it is almost insoluble in most solvents, only at 300 °C. The above is slightly soluble in the total alkane (about 0.1 g / 100 g). Teflon does not absorb moisture, is non-combustible, and is extremely stable to oxygen and ultraviolet rays, so it has excellent weather resistance.